Here you will find a selection of basic layouts, each differing in the way the menu is structured. 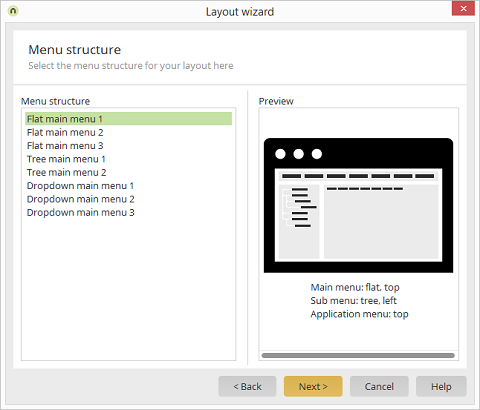 You can select between layouts with flat, tree-based, or dropdown menu structures. There are various options for each type. You can see a preview of the currently selected option on the right.